You can find some Sony Ericsson Mobile Phone Schematics Manuals PDF this page above. Brand, under which were produced popular mobile phones, as well as various accessories for them. Belongs to Sony Ericsson Mobile Communications, a Swedish-Japanese company engaged in the production of telecommunications equipment. Sony Ericsson Mobile Communications was founded on October 1, 2001. 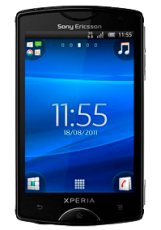 The basis for the creation of the new company was that the mobile phones of the companies Sony (Manuals page) and Ericsson, being generally good devices, lost the competition with the Nokia (Manuals PDF page) devices. The company's double name is explained by the fact that both founders have equal shares of 50% each. Headquartered in London, UK. All technical part from Ericsson, marketing and design from Sony. However, more than a year has passed since the merger, while the world finally saw the first phones under the brand Sony Ericsson. All this time the company worked at a loss. It turned out that it's not so easy to combine the bases from two different manufacturers. And finally, in 2002 Sony Ericsson T68i appears. The model, which was much more from Ericsson, rather than from Sony. In principle, the novelty was the update of the rather popular Ericsson T68 phone. 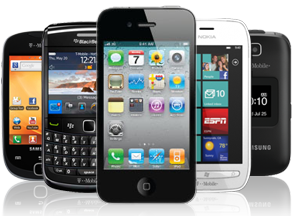 The company began to promote several lines of mobile phones. The most famous of them can be considered Walkman (music phones) and Cyber-shot (phones with "advanced" camera). A good start to the new brand was provided by the great names of "parents". In any case, the company did not start from scratch. Fans of Sony Ericsson can be found all over the world ... But the game, successfully started, did not ask. The main goal - to make a worthy competition for Nokia - was never achieved. 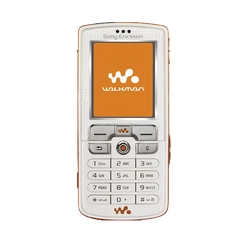 Not quite smoothly went business with the company's phones under the brand Walkman - a certain representative of Sony even said once that the idea to give this brand to the use of Sony Ericsson, was a "strategic mistake", because it did not justify its expectations. By the way, in early 2009, Sony refused to grant rights to its other popular brand - Play Station Portable, which was planned to be used for gaming phones. To counter "the Korean threat", in the form of invasion of phones of companies Samsung Mobile and LG Electronics (PDF Manuals pages), it was not possible. The XPERIA units, although they attracted close attention of the public, did not perform miracles. As a result of all this, the company began to suffer major losses, gradually losing its market share. On the web there were rumors, according to which, the Swedes with the Japanese gathered to part. So it happened in 2011, when Sony announced that it wants to redeem its 50% in Sony Ericsson Mobile Communications AB. The deal was finally completed in 2012, as a result of which the Japanese manufacturer has a division of Sony Mobile Communications. Having a developed system of services, Sony felt that it would be much better to resist competitors.